I am 99% sure that the female in the photo is male actor Frankie James Grande. When I saw the photo, I thought the same as you, but after researching it further, I confirmed that she really is Mr. Grande en femme. His femulation in Pageant is one of the best I have ever seen. For additional proof, peruse the photos here: https://m.facebook.com/PageantTheMusical or just Google "Frankie Grande Pageant" and view his images from the show. Nope. That is Amanda Manson https://m.facebook.com/photo.php?fbid=224427311074814&id=151318895052323&set=a.224427287741483.1073741830.151318895052323&source=49&refid=17 His femulation is pretty good, but not THAT good.. I stand corrected. Thank you for the heads-up, Pyleris, and sorry, Joanna, for doubting you. I replaced the photo of the natal female with a photo of Mr. Grande, which I am 100% sure really is Mr. Grande. 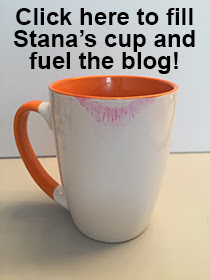 Ha ha no worries stana....I thought it was a little too good to be true!